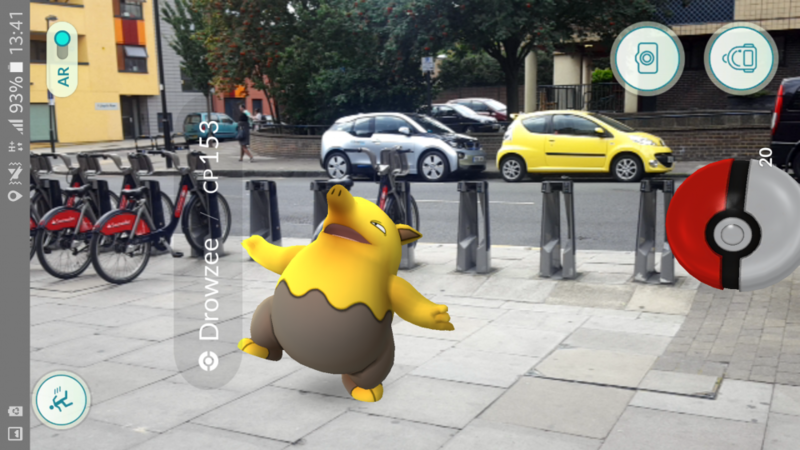 Pokémon Go recently made its debut in the UK app store, and just like its US cousin, it’s already been a big hit. Lately, it seems as though you can’t go more than 10 feet without someone pointing their phone at your pant leg, swiping furiously to make a new catch. The Poké-mania has spread to our office as well, and the Interaction Lab reckons we could all learn a lot from the game’s UX. Whether you’re part of team Mystic, Instinct, or Valor, building a strong team rapport is essential to taking gyms and contesting territory in Pokémon Go. Choosing the right team could be daunting, however, like most things in the game, the team selection process relies on simplicity. Each step provides just enough on screen information to be useful, without overwhelming users. As soon as you reach level 5, the game prompts you to select a team, and a friendly representative from each team makes their quick pitch. There is no extraneous information to disrupt play and bog you down, and the layout is accessible to those who are new to Pokémon, as well as seasoned Pokémasters. Make the right choice, or face exile from your co-workers at the next office party. Pokémon Go keeps users aware of their location and proximity to all the best Pokémon by using easily recognizable and unobtrusive imagery. The game map is a stylised version of users’ real surrounding environment, and is familiar to anyone who uses Google Maps, Citymapper, or any other popular location finding tools. 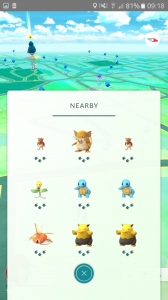 In addition, Pokémon silhouettes at the right-hand corner of the screen indicate which Pokémon are near, and a set of footprints let you know how close or far away you are from your catch. The full list of Pokémon and location data doesn’t come up until you tap the area, so there’s no chance of your screen being suddenly obscured by a pop-up, causing you to miss out on that rare you’ve been chasing all week. 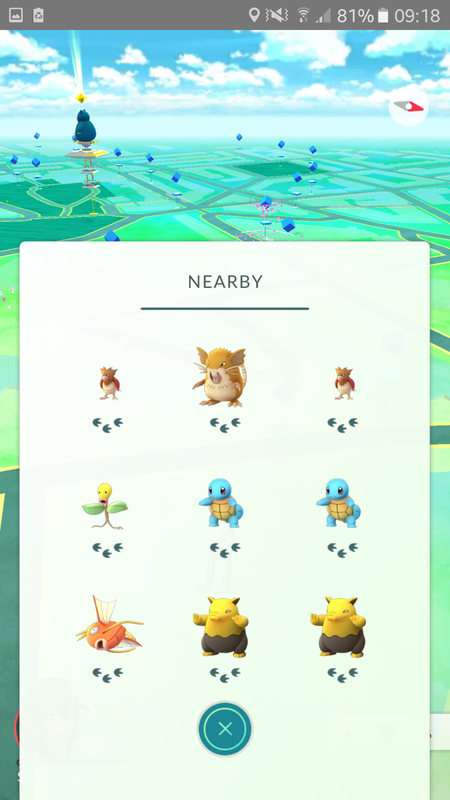 The idea is simple – the smaller the number of footprints you see, the closer you are to a new Pokémon. The way Pokémon Go uses location data takes stress off users and speeds up decision-making so that they can prioritise their hunts based on where they are at the time and the type of Pokémon they’d like to catch. Pokémon Go makes access to items like Pokéballs and Razz berries easy by including an icon for the ‘items’ backpack right on the capture screen. No need to swipe in and out of the screen just to grab something from your bag. 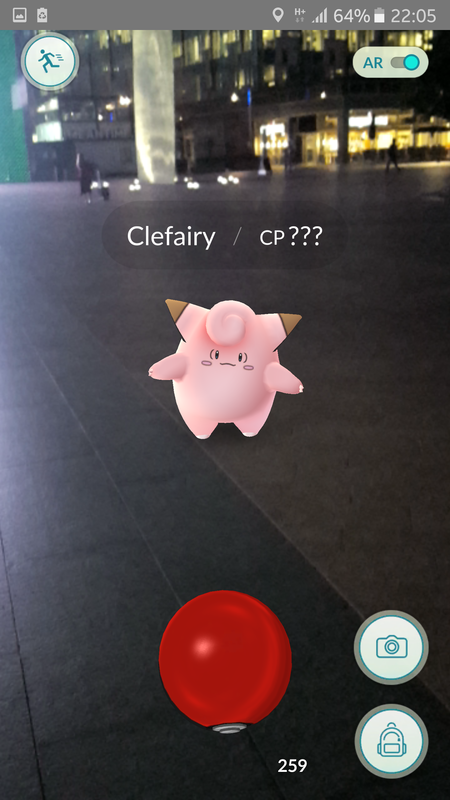 And if you’d like to take a photo of a Pokémon before you catch it, there’s no need to fumble around on your phone with a specific screenshot gesture or keypress – Pokémon Go takes care of that with an easy to access camera icon that allows the user to take a quick photo without disrupting gameplay, or giving the chance their Pokémon a chance to run away. Go can be a great way to meet new people and explore new places. Although the app doesn’t yet allow for users to search for friends or see people they know, the ethos of the app is all about being social. Joining teams, battling others, and being able to collect new items as you walk the city is all part of what takes the app from being just another game to an innovative, embodied technology experience. 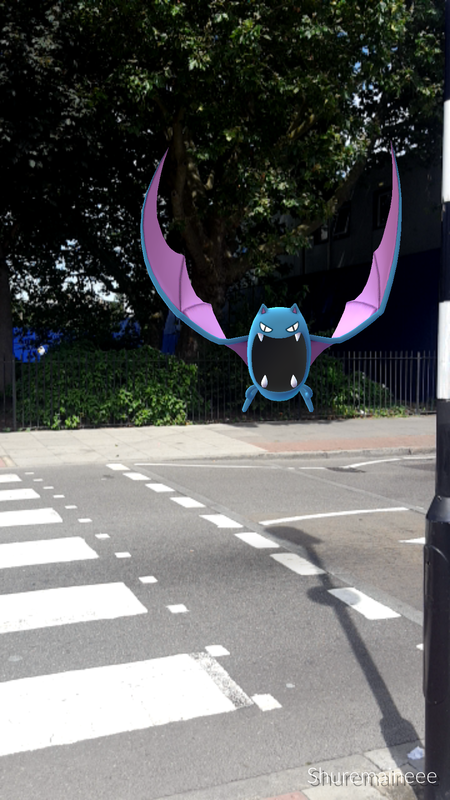 Using augmented reality via the AR camera view, Pokémon Go immerses users in the digital world so that they can catch a Gyarados sitting on top of the O2, or a Rattata at their favourite coffee shop. The web is already filled with humorous user snapshots of Pokémon in the strangest of places, and allows users to feel part of a shared experience. Goldbat likes to play in traffic, but you shouldn’t. 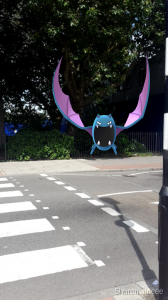 Whether you only play casually or you’re the type of Poképlayer who will run out of the house at 1am to add a Zubat to your collection, what’s great about Pokémon Go is its accessibility. Everyone – young or old, digital novice, or digital geek, can find their way around the app thanks to its low barrier to entry. 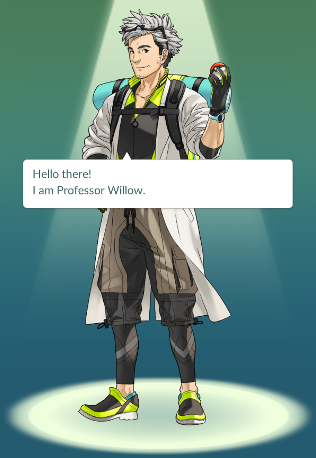 The moment you start the game, help provided by the friendly Professor Willow lists concrete steps to play in the form of a friendly narrative, and gives a brief explanation of each item, so that even if you didn’t grow up with the game, it becomes easy to make sense of the new world. This easy on boarding experience combined with a healthy dose of cuteness have no doubt helped to make the game a viral sensation. And if Pokémon Go has inspired you to develop your own augmented reality game, don’t forget to test it out with real users! Come talk to us at the Interaction Lab, where we have all the tech you need to test in real time, on the go.